The long-established Birmingham manufacturer Weston Beamor is to take part in a Company of Master Jewellers’ (CMJ) meeting for the first time in February, 2015. 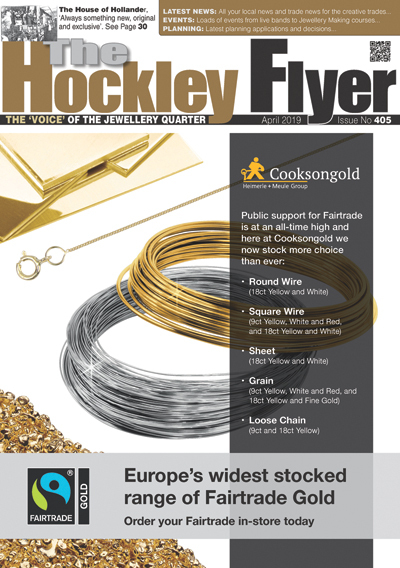 The company will be there to tell CMJ members about its bespoke production service for retailers which includes designs in Fair-trade gold and silver. This service provides the opportunity for retailers who may not have their own workshops, or who do not want to get involved themselves in making up special pieces, to tap into a fully comprehensive manufacturing facility, allowing them to offer complete personalisation to their customers. “Weston Beamor is well-known for its casting services in precious metals but is perhaps less well known for its CAD and Rapid Prototyping services and for its stone setting and stone-sourcing facilities. Our dedicated team of experts can help retailers with all stages of the manufacturing process and provide a swift, expert and high-quality service,” explains the company’s head of business development, Glen Day. WB offers retailers a number of safeguards to ensure that customers are pleased with their bespoke designs. 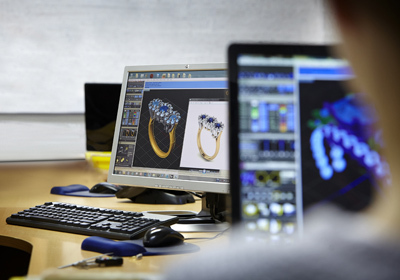 Firstly their CAD designers produce a photo-realistic CAD render of the jewellery to be made for approval before the process begins. This is followed by a resin prototype, which can be tried on by the customer for further approval prior to production of the finished or partly-finished piece of jewellery – whichever the retailer prefers. The company can also create new designs from old pieces of jewellery and can work from a verbal or hand-sketched brief. “There is no doubt that personalisation of jewellery is a growing trend and feedback from our customers tell us that more and more bridal couples are looking to buy wedding jewellery which expresses their own personality. By using Weston Beamor’s services retailers effectively have access to their own highly sophisticated and technologically advanced jewellery workshop and to the exceptional craft skills of our setters, mounters, and finishers. By using WB CMJ members will be able to open up a whole range of exciting new possibilities to their customers,” says Day.